Anne Lindboe is currently serving as the Norwegian Children’s Ombudsman. She was appointed by the Government of Norway for a six-year term in 2012. She obtained the cand.med. (MD) degree at the University of Oslo in 2000, and was approved as a specialist in pediatrics in 2011. 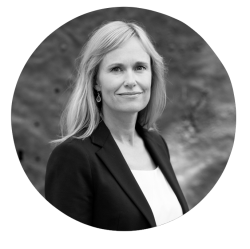 She also holds an MBA in Management from the Norwegian School of Economics. From 2008 to 2011, she was a medical expert for the police in cases about violence and abuse, and from 2010 also a researcher at the Norwegian Institute of Public Health.